God Worship or Religious Economics? "Talk about marketing! The (Organized Religion Industry) O.R.I. has sold its message brilliantly, concentrating on such talking points as fear of death, answers to the unanswerable, and moral certainties delivered in God's name. I think it's fair to say the O.R. I. 's strident voice owns the public God conversation in America; so much so that people who reject organized religion often feel compelled to reject God, the great Whatever, as well. Now, before I go one word further, let me acknowledge that a lot of good people do a lot of good things driven by their participation in organized religion. 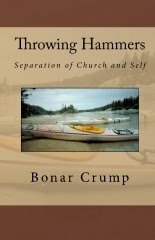 My quarrel is not with those good people or those good things, or even, per se with organized religion; it's that the Organized Religion Industry seems chiefly concerned with maintaining itself and its employees (often quite lavishly) by pedaling itself as essential to having a relationship with God. 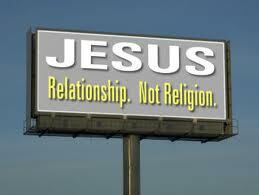 The focus of organized religion is not God, as much as itself. People starve, while Joel Osteen makes millions."